The goal of Interface Science and Composites is to facilitate the manufacture of technological materials with optimized properties on the basis of a comprehensive understanding of the molecular structure of interfaces and their resulting influence on composite materials processes. From the early development of composites of various natures, the optimization of the interface has been of major importance. While there are many reference books available on composites, few deal specifically with the science and mechanics of the interface of materials and composites. 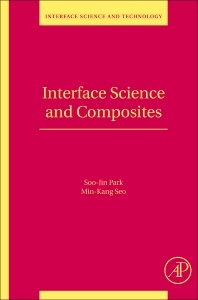 Further, many recent advances in composite interfaces are scattered across the literature and are here assembled in a readily accessible form, bringing together recent developments in the field, both from the materials science and mechanics perspective, in a single convenient volume. The central theme of the book is tailoring the interface science of composites to optimize the basic physical principles rather than on the use of materials and the mechanical performance and structural integrity of composites with enhanced strength/stiffness and fracture toughness (or specific fracture resistance). It also deals mainly with interfaces in advanced composites made from high-performance fibers, such as glass, carbon, aramid, and some inorganic fibers, and matrix materials encompassing polymers, carbon, metals/alloys, and ceramics.